This month, I had the opportunity to speak with John Clegg, founder of African American Civil War Soldiers, a new website that is crowd-sourcing the transcription of the military records of the 200,000+ Black soldiers who fought for the Union Army in the Civil War. Clegg is a PhD candidate at NYU whose research covers structures of race and class in the United States, the roots of mass incarceration, and the political economy of slavery and emancipation in the Atlantic world. In addition to founding the African American Civil War Soldiers database, he is an editor of the journal Endnotes. Follow him on Twitter @transcribe_usct. Guy Emerson Mount: How did the African American Civil War Soldiers project come about? John Clegg: For the past several years I have been trying to use the methods of digital history to explore some of the core themes of W.E.B. Du Bois’s Black Reconstruction. Initially, I wanted to see if I could measure the frequency of slave self-emancipation during the war—effectively mapping what Du Bois called the “general strike.” I soon found that the Union Army kept few records on fugitives and refugees, but very detailed records on the 200,000 African American men who signed up to fight against the confederacy, about 70% of whom had been enslaved at the start of the war. 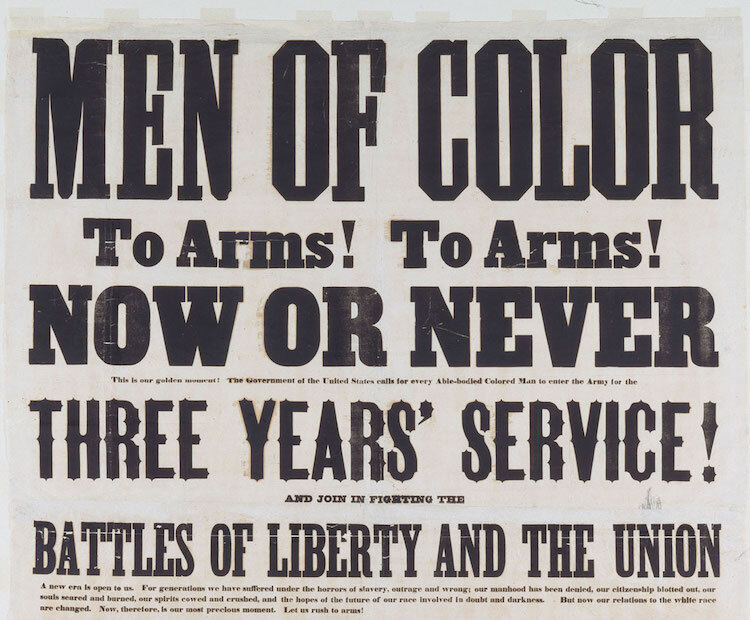 Their enlistment, which Du Bois called the “meat and kernel of the war,” presents us with a window through which we can trace the broader process of emancipation from below as it spread through the South from 1861 to 1865. The scale and detail of these military records make them a very valuable source for historians, so I was surprised to find that so few scholars had made use of them. This is surely in part because you used to have to travel to the National Archives in DC to study them. However, this year the National Archives finally put scans of all the records online. 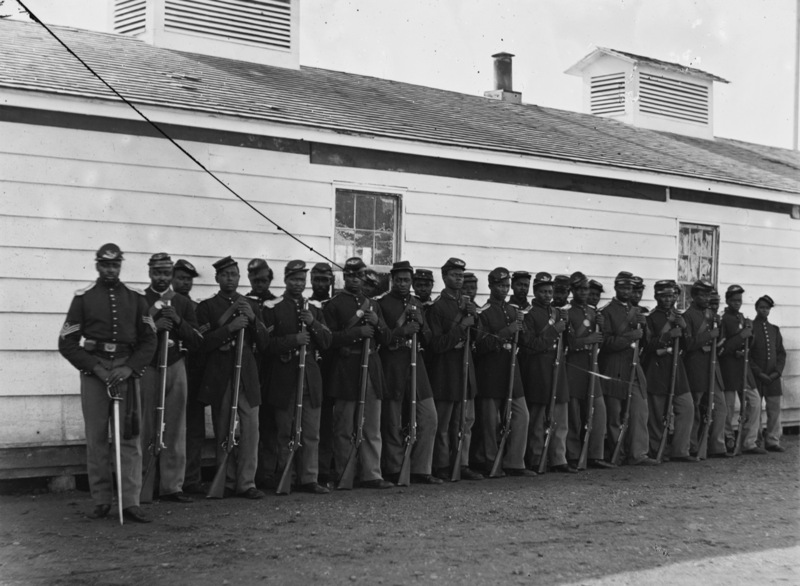 With the support of the African American Civil War Museum, I launched a crowd-sourcing project to transcribe these records, building a comprehensive and searchable database of the soldiers. The database will be freely available to all researchers. Mount: What kinds of information do the records contain? Clegg: When I began this project I was mainly interested in the geographic locations contained in the records, which allow us to follow an individual soldier from birth to enlistment to their movements during the war and their place of demobilization (when we move on to transcribing the pension records we will also be able to follow the surviving veterans into the post-war decades). I wanted to map these individual movements in order to visualize Du Bois’s “general strike” and explore its impact on the politics of Reconstruction. As soon as I began to explore the records, however, I found that they were full of fascinating clues to the individual life stories of the soldiers, most of whom, as I mentioned, were enslaved at the start of the war. I thus concluded that it would be best to transcribe everything, because every bit of information can shed light on the lives of people who are otherwise largely invisible to historians. For instance, the records contain a lot of demographic and health information, which was used by the pension bureau to verify the identities and adjudicate the claims of veterans. This includes things like height and eye color, but also doctor’s reports and detailed descriptions of things like notable scars. Many of the physical descriptions tell us more about the recruiting officer than the recruit. But as you transcribe these records and see the frequency of scars and missing limbs, and other signs of disability and disease with which Black soldiers were entering the army (let alone the dismembered state in which they often left) then one gets a clear sense of the systematic violence of slavery at the level of the individual body. Of course, the records also contain a lot of detailed information about the military careers of the soldiers. Alongside battles fought and promotions and honors won, we have reports of desertion, of military trials, and of punishments. They also tell us how much and when each individual soldier was paid, and I hope to use this information to find out more about the soldiers’ strike for equal pay. The files of many previously enslaved recruits also provide information on their former owners — a crucial piece of information for African American genealogists who otherwise find it almost impossible to trace descendants to before the Civil War. Finally, we can tell whether soldiers kept their weapons when they demobilized, and can thus map the capacity for armed self-defense in African American communities in 1865. Mount: What do you plan to do with the finished database? Clegg: I’m interested in all these opportunities for research, but the main thing we’re going to do with the database is to share it with everyone interested in these subjects. Its primary online home will be on the website of the African American Civil War Museum, where site visitors will be able to search the database. This will be useful for genealogists or individuals who may want to know whether they can trace their ancestry to any of the over 200,000 soldiers. We’re also hoping to create interactive maps and visualizations where visitors can explore the movements of the soldiers over time. Finally, we’re developing several educational applications. Both the transcription process and the final database will allow users to tag individual soldiers of interests (and descendants will be able to use the same system to share stories about their ancestors). I know several teachers are planning to use the transcription process as a way of giving students access to documents which in most cases have never been studied before, and we are currently developing lesson plans on the site. Mount: There are several other projects that are exploring the African American past with the tools of social science and the digital humanities. Are we on the verge of a digital revolution in Black history? Clegg: It looks like it. I’m now part of a team that is developing the project, and a number of other projects have lent us their support and provided us with inspiration in what feels like a growing community. The initial inspiration came from the Union Army Data project, which has already transcribed the records of about 10% of the Black recruits. The great thing about their data is that it allows us to follow surviving veterans through their pension records. However, Southern African Americans are underrepresented in their sample, and it can only give us a limited sense of patterns of enlistment and fugitivity during the war. The Union Army Data people have been a key supporter of our project from the beginning, and have generously shared their extensive knowledge of the records with us. When it comes to crowd-sourcing African American history we have taken particular inspiration from two other projects. The first is the Freedman’s Bureau Project at the National Museum of African American History and Culture in DC. That project, led by the amazing Hollis Gentry, is a truly epic undertaking, involving thousands of volunteers across the county, as well as a dedicated room at the museum where visitors can help transcribe what will be an invaluable resource for African American history and genealogy. Another key inspiration is the Colored Conventions project, which has done incredible work in bringing to light pre-NAACP Black political organizing before and after the Civil War. They have been path-breakers in the development of best practices for crowd-sourcing and digital archives and we have tried to adopt some of their principles with our own data. Last but not least, this project would not have been possible without the support of the African American Civil War Museum and the tireless work of the museum’s founder, Frank Smith, to keep alive the legacy of the soldiers. We are planning to reveal the first round of transcriptions to a gathering involving many descendants of the soldiers at the Museum’s 20th anniversary this July. Guy Emerson Mount is currently a postdoctoral research fellow in the Department of History at the University of Chicago. His book manuscript, "The Last Reconstruction: Race, Nation, and Empire in the Black Pacific," analyses the end of American slavery in conjunction with the birth of American overseas empire. Follow him on Twitter @GuyEmersonMount. I love this work!! More power to you John. Thank you to Guy for conducting the interviewing as well!